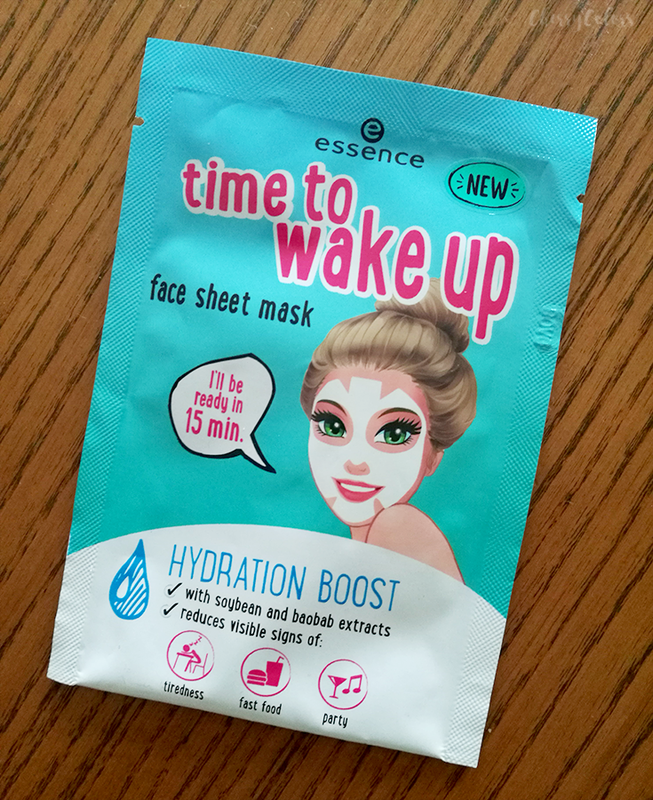 Essence Time to Wake Up Sheet Mask - Cherry Colors - Cosmetics Heaven! Essence came out with a product that is slowly creeping into our stores. It's a sheet mask that is meant to hydrate your skin. I decided to share my thoughts because their products are always affordable and many of them are amazing. 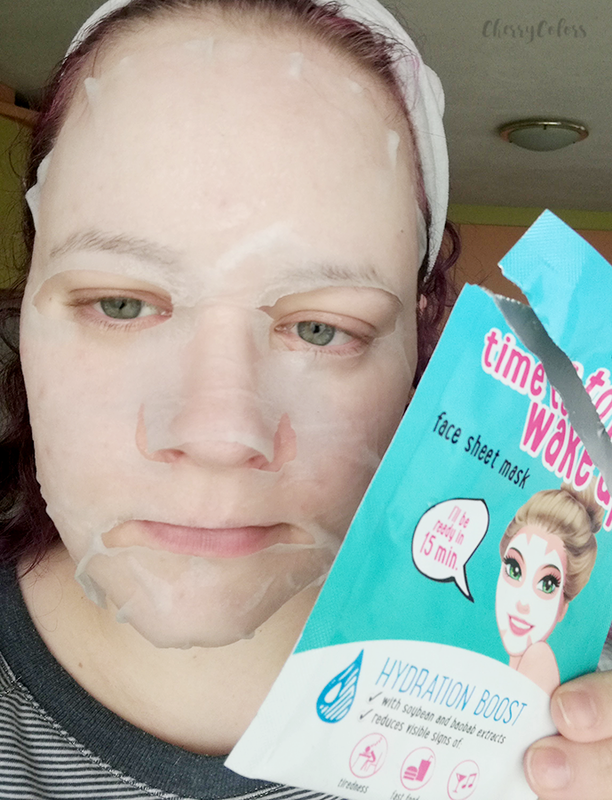 Today I wanted to talk about the new Essence Time to Wake Up Sheet Mask. the sheet mask cools and refreshes the face with soybean and baobab extracts – for a 15 minute boost of moisture! As the description goes it's a no-brainer. Just wash your face, put it on and wait for 15 minutes. After that pat in the excess essence and finish with your regular skincare regime. Well, I wanted to see how it worked for me. I'm slowly getting closer to the big 3-0 and my skin needs all the love it can get. Plus some extra hydration. The mask was pretty hard to open and it ripped in the middle. The rip wasn't (picture) pretty, but I did manage to get the mask out. The sheet was nicely soaked in the watery essence. It had a gentle scent (fresh, but perfumed) which I hoped that wouldn't irritate my skin. The material it was made from fitted my face nicely (except on my nose, but I didn't notice it at the time) which is always a good thing. The material was thin and comfortable. I left it on for 15 minutes and hoped for the best. 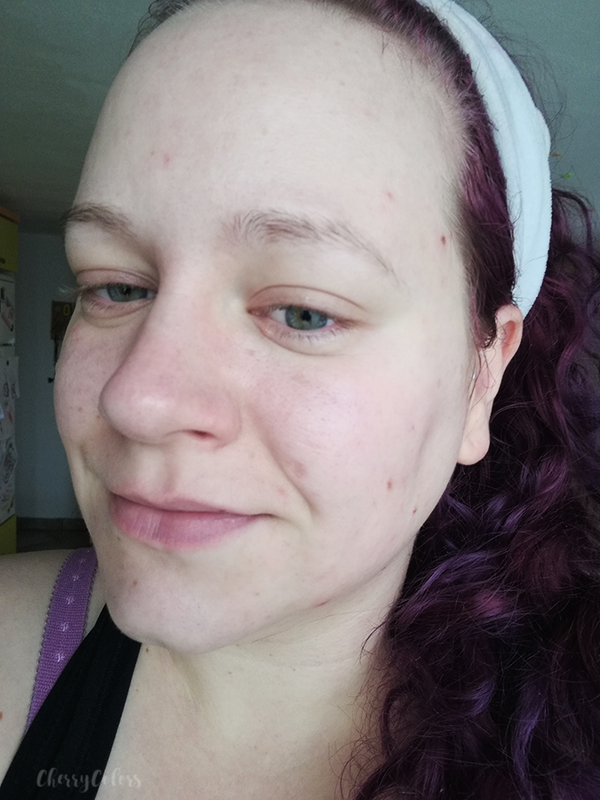 In this time I didn't feel any discomfort but I did try to rip the part on the bridge of my nose to make it fit better. Sadly it was holding on quite strongly and I left it be. After the 15 minutes, I took it off and patted in the leftover residue. My skin was feeling refreshed and pretty happy. I finished with my usual skincare regime. 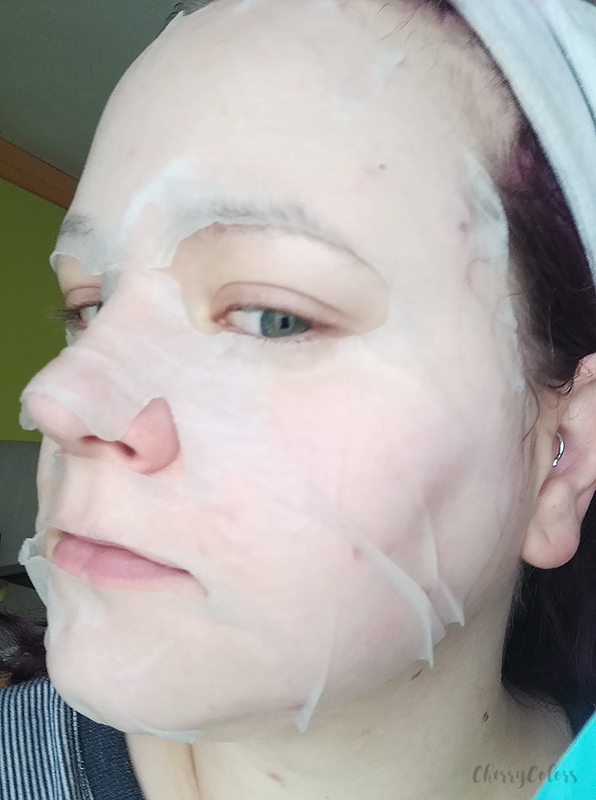 I give this maks 4 stars (peaches) because from all the sheet masks I tried it's as good as it gets. It does sound crazy and I am the first to admit it. It doesn't do any sorts of miracles, but it didn't irritate my skin, it fitted nicely and it moisturized my skin. 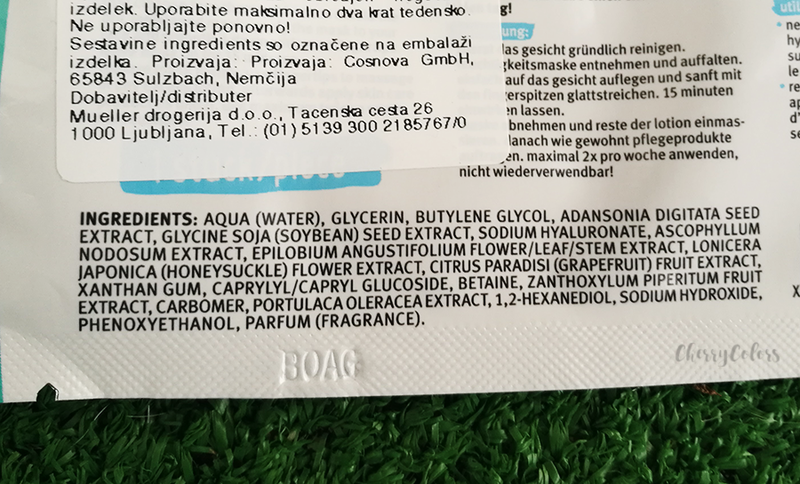 That's all I ask from a sheet mask. Nothing more and thus I am happy. Essence did a great job!